It's been nothing short of overwhelming immersing myself in the dilemma and revelations of sexual harassment revealations in the media. It's a different way to spend my time as I'm usually helping clients in a positive way as they work to implement meaningful solutions. Yet, this is a social watershed moment that in my field and on a personal level I cannot ignore. So I decided to commit to the immersion because harassment is a reality in our workplaces today. It's a symptom of the very thing I try to help my clients avoid or overcome -- a toxic, unhealthy, unproductive work environment. Dealing with these issues and those surrounding them can be approached from a variety of perspectives. From what I know about company culture and human behavior, I'd like to suggest 3 key elements to what I see as the most useful approach. 1). Take the opportunity to address harassment NOW since it has become part of our country's collective conscious. All this reporting has heighten awareness -- don't let that go to waste! 2). Decide to view it from a big picture perspective. Anything about employee behavior is related to company's culture and it's relationship to human resources. It's probably time to do a culture check. Here's a post to get your started, It recommends 6 check points from which to begin. So, it's also a great opportunity to conduct a company culture check up and reset initiative where needed. 3). In deciding to deal with it from a company culture perspective -- it must also be seen therefore, as a leadership issue. Leaders must ask themselves, "What about me and my leadership team has given the impression that it's ok to act this way...to threaten or harass another employee in any way?" This is absolutely the best time to look at your own leadership values and vision and the variety of ways its being communicated. > What vision do you have for the kind of company you create and continue to build? 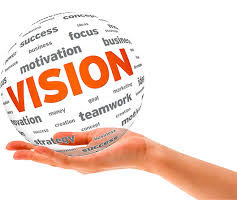 > Does your leadership team support and promote this vision? > Is your leadership voice and the behavior modeled clear and consistent with this vision? You know what really needs to happen? Every business leader where something has occurred should publicly apologize, restate their vision and ask for help from every employee at every level to support that vision. Being humble and authentic is really the call of the hour! Here is the chance to lead from vision vs. fixing symptoms! is to create an exceptional, quality work life for its employees. the qualities in individuals and an organization to make it so. and in so doing produce a highly satisfying, productive work environment. These conditions, maintained, produce and sustain a company that continually thrives, no matter the market conditions. This is The Human Quotient™ of business. Also imagine if all leaders in partnership with their human resource department promoted these qualities in their cultures and organizational development? This really means creating an optimal operation... and what leader would not want that? Ask yourself as as leader, "What's my company culture feeding - constructive or destructive behaviors?" If your company is not functioning at its best, one or some of these qualities in the vision statement are missing, or are not functioning as need be. Let us help you improve the Human Quotient™ of your business and it's leaders. We specialize in helping leaders understand the human experience in the workplace for better business building. This lack of understanding slows and undermines growth as well as allows for a lot of unnecessary people problems. This is a phenomenal article JoAnn. I love your contrast of leading from fixing symptoms to championing a vision. Thanks Alan, always appreciate your feedback!